Oma Bap was originally created and opened its doors in 2011 as a "gateway" to the delicious flavors of Korean food primarily centered around the traditional Korean rice dish Bibimbap. Not your typical Korean BBQ restaurant- Our menu is simple! 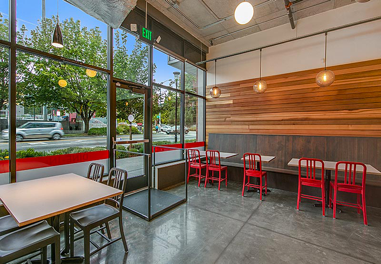 Oma Bap is a fast-casual restaurant with a limited menu and items that are freshly prepared right in front of you.